Posted On November 26, 2014 by Team iCynosure. We’re almost cruising into the last month of 2014. So what’s ahead? So many festivals lined up, parties to vile your time away. With so many invites and so many things planned back to back, make sure you have a wonderful sturdy trustworthy friend that helps to carry your world with you. 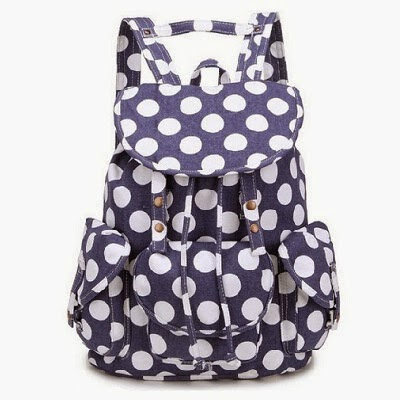 So dump those bulky handbags and unflattering jolas and head straight to Tidebuy to get your very own stylish backpack. I just got mine in the colour of the season… Burgundy or in simple terms Wine Red! 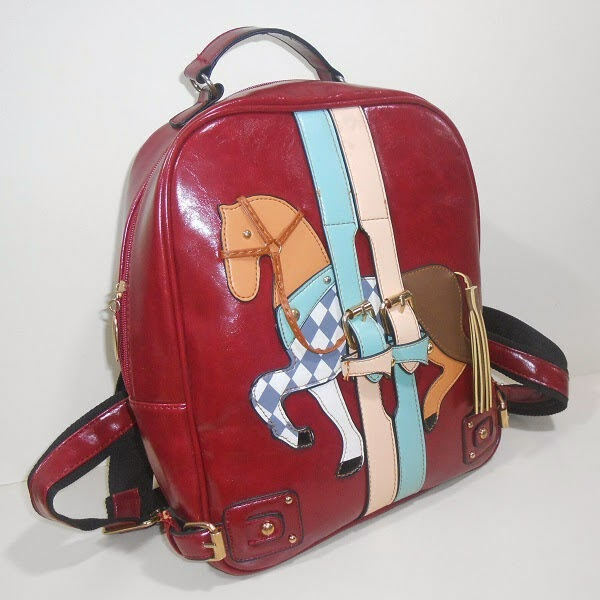 I had been looking for a stylish yet quirky backpack for a long time now that can house my laptop and camera along with a few everyday essentials when I chanced upon the Little Horse Applique Backpack from Tidebuy; something not too small yet not very large. Of all the little things that go into making a great backpack, this little wonder has a great arm and shoulder strap and sits comfortably on my back for almost half the day. 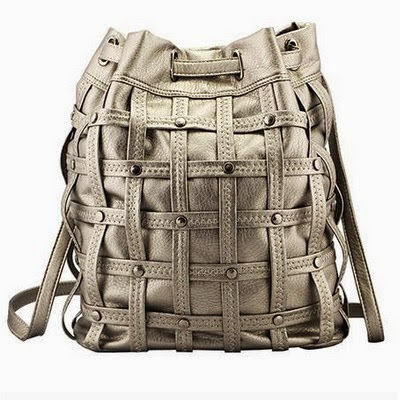 Though it is a single pocket Backpack, it has the right balance for storage and convenience. The structure is as such that it allows great air circulation on the back without clinging on to it; which is a huge bonus given I live in a city like Bombay. As a little girl, I owned a pony and this backpack instantly reminded of my fun vacations so I had to get it. Of all the lovely colours I choose the vibrant red that would compliment most of my outfit choices. Since the time it arrived a few days ago, it has been my constant companion wherever I go. I’ve completely fallen in love with my horsie that carries all my stuff and gives me wings to fly like a bird. Now that I’ve got this one, I’m eyeing a few others from the site…here are a few of my favourites. I hope you enjoyed this post, let me know what you think of my backpack in the comments below.